Daedra (/deɪ.dɹə/ or /diː.dɹə/) are divine beings that did not take part in the creation of the Mundus, and thus retain the full breadth of their power. They have a very real impact on the mortal realm; in one way or another, Daedric influence touches everyone on Tamriel. The word "Daedra" is of Aldmeri origin, and roughly means "not our ancestors", as opposed to Aedra—"ancestors". Technically, only the plural is written "Daedra", but this word is frequently used in singular as well. The proper singular form is "Daedroth", but that has come to refer to a specific species of Daedra. Different cultures have their own myths and names for Daedra, as well. Daedra are often referred to as demons, but this is misleading. All Daedra have a penchant for extremes and are therefore capable of tremendous acts of devastation, but their different spheres make them apply their power in different ways, and their infinite diversity makes speaking about them generally difficult. Thus, it is often impossible to accurately label them as "good" or "evil"; the one thing that can be stated with certainty is the Daedra are beyond mortal comprehension (as mortals seem to be beyond Daedric comprehension). Daedra come in many forms. Undoubtedly there are true Daedra, such as the Daedra Princes and highly intelligent Dremora. There are many lesser beings known to be in league with these greater powers, but whether each type constitutes actual Daedra is unknown. A Daedroth's physical form can be ruined, but it cannot be truly killed; the soul (more specifically known as the animus or vestige) of a slain Daedroth returns to the void of Oblivion until it manages to coalesce into a physical form again. A slain Daedroth is often said to have been "banished" or "purged" instead of "killed" to reflect this. 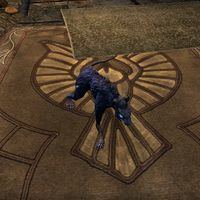 It is not known what happens to a Daedra killed in Aetherius, though it has been suggested that this may be the one way to permanently kill a Daedra. Daedra are great imitators, and their creations are described as mimicking things found on Nirn in an outlandish or even corrupted way. 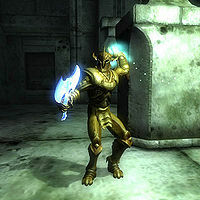 They are capable of creating seemingly indestructible and mighty daedric armor and weaponry through dark rituals. The Daedric princes have also created several species of daedra that resemble species found on Nirn. The Beetles, Scorpions, Wasps, and Spiders from Mephala's Spiral Skein and the Crows from the Nocturnal's Evergloam are the more noticeable examples of imitations of Nirn's species. Daedric Princes (sometimes referred to as Daedra Lords) are the most powerful of the Daedra, and thus most commonly worshipped as gods. Each has a particular sphere, which it is said to govern. Daedric Princes may assume a typically masculine or a typically feminine form, sometimes both. They are usually referred to as Princes regardless of what gender they appear most frequently as. In all, there are 17 powerful Princes known to mortals: Azura, Boethiah, Clavicus Vile, Hermaeus Mora, Hircine, Jyggalag, Malacath, Mehrunes Dagon, Mephala, Meridia, Molag Bal, Namira, Nocturnal, Peryite, Sanguine, Sheogorath, and Vaermina. According to Mankar Camoran, Lorkhan is also a Daedric Prince, although this has never been confirmed. Each Daedric Prince, with the exception of Jyggalag, is said to have his own plane of Oblivion, over which they have control. The limits on their planes, powers, and influence are not readily understood, as there are over 37,000 other planes (such as the Soul Cairn and the Chimera of Desolation, as well as chaos realms and pocket realms) over which they exert little or no control. The Daedric Princes seem to view Men and Mer as little more than minor amusements, occasionally applauding the actions of mortals when they exceed their expectations. They do not know the mortal sense of "good" and "evil", and usually have extremist tendencies, which is why Men and Mer fear them greatly. However, several princes do seem to take genuine pleasure in tremendous acts of devastation, in particular Boethiah, Molag Bal, Vaermina, Mehrunes Dagon, and Peryite. 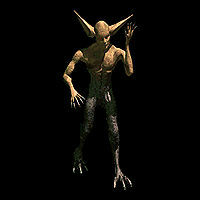 Although the beings are considered evil by most, they are widely worshipped in the realms of Tamriel. Elaborate shrines are created to honor the Daedra as gods. They often take a keen interest in their worshippers, and it is speculated that this is either because of the obvious ego-gratification of being somebody's god, or because the Daedra like to keep an eye on potential future subjects (assuming people of demonic disposition enter Oblivion after death, that is; there are as many afterlife theories as there are religions in the world). 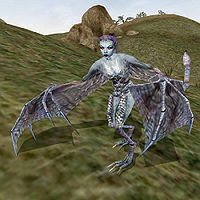 Mainstream religious authorities discourage Daedra worship, and often mount witch-hunting expeditions to drive out Daedra worshippers from the local area. During these encounters, they are often surprised at the marginal sanity that comes of worshipping the Daedric Princes. For the most part, however, dealing with the Daedra, one gets the distinct impression of being mused over as a person peering under an upturned rock may momentarily wonder at the lives of the bugs living ignorantly there. For more information, see main lore article. 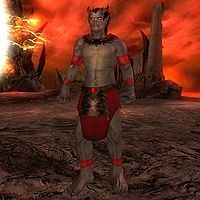 The Daedric Princes are only the most powerful of the Daedra, and many of them have many servants known generally as lesser Daedra (not to be confused with Lesser Daedra, a specific type of Daedra similar to Daedroths). Even though many lesser Daedra are associated with a Daedric Prince in particular, in reality, any individual Daedroth can serve any Daedric Prince by taking part in an "Oath Bond" while others stay unaligned, though the specifics are characteristically unknown. Some are in service to mortals. For example, the Dunmer are known to use Daedra as servants and instruments, as have many other cultures, and the Ayleids employed entire armies of Daedra in their wars against men. 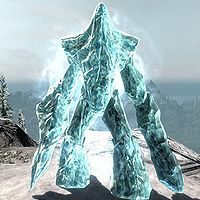 Daedra are often summoned and used in the study of magic; of course, the school of conjuration deals specifically with connecting one's mind with a Daedroth and compelling its appearance in the mortal plane. For information on mortals summoning such Daedra, see the book Darkest Darkness. 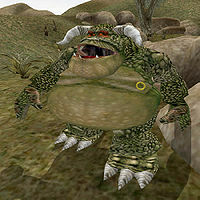 For game-specific information, see the Daggerfall, Battlespire, Morrowind, Oblivion, Skyrim, ESO, and Legends articles. Crafting Motifs 14: Daedric by Seif-ij Hidja — Continuing my compilation of Doctor Alfidia Lupus' notes for studies of clothing, arms, and armor in diverse cultural styles…. This page was last modified on 30 January 2019, at 02:10.